Company world of car now is very rapid progress, development is not only done on power on the car, the exhaust emissions but also the level of security for the driver while driving. The level of security on the vehicle is a major factor that must be considered. Car companies began to develop technologies using a microchip, such as parking technology, to detect sleepiness, these features not only provide convenience in driving for the driver but the technology is more and gives a sense of comfort and safety for the driver, especially being in a long journey. Here are some safety features on vehicles that have been applied. Rear Traffic Crossing is a technology used to detect vehicles that are behind when we move the vehicle. So, you can use the radar system to help you. The radar system will be activated every time you move your car back and will warn the driver if there is a car approaching with the raised icons and sounds. This technology is applied by the manufacturer of Mercedes in 2010. This technology was developed because many accidents caused by drowsiness while driving, and in the case are common at night. Sleepy driver is also commonly caused by fatigue caused by long trips. Mercedes gives Attention Assist, a sensor that continuously monitors more than 70 different parameters to detect fatigue. If fatigue is detected, a coffee cup icon and the message “Time for a rest?” Will appear on the screen accompanied by a sound that warns the driver to rest. Unlike the Mercedes In the latest generation Ford Explorer, cars manufactured in 2010 or later have a rubber belt to protect passengers sitting in the back seat. When the sensors detect the impact of the accident, the air bag in the sitting belt containing a cold gas that has been compressed will expand and cushion the impact of the collision. While the latest manufacturer Volvo S60 provides a radar system that warns the driver if it detects pedestrians ahead of the car and then automatically brakes if the driver fails to respond to the warning. Motorists will get a warning sound combined with flash lights on the windshield. This technology can avoid a collision with a pedestrian at 22 kilometers per hour. For faster speeds, at least it will minimize the impact of a collision. The technology developed by BMW burfungsi to warn that the driver went into the wrong lane. Through car navigation systems, this technology sends a warning sound or image if it is on the wrong track. If the driver remains on the wrong track, the navigation system will display a warning and a map indicating the wrong lane. This application allows users to see traffic conditions on the road today and the main roads through the video, instead of relying on reports from radio traffic. Now it was sold as an application for portable handheld devices, but eventually could be integrated directly into the vehicle. This technology was developed by Visteon If the driver remains in the wrong way, the navigation system will display a warning and a map showing the wrong way. 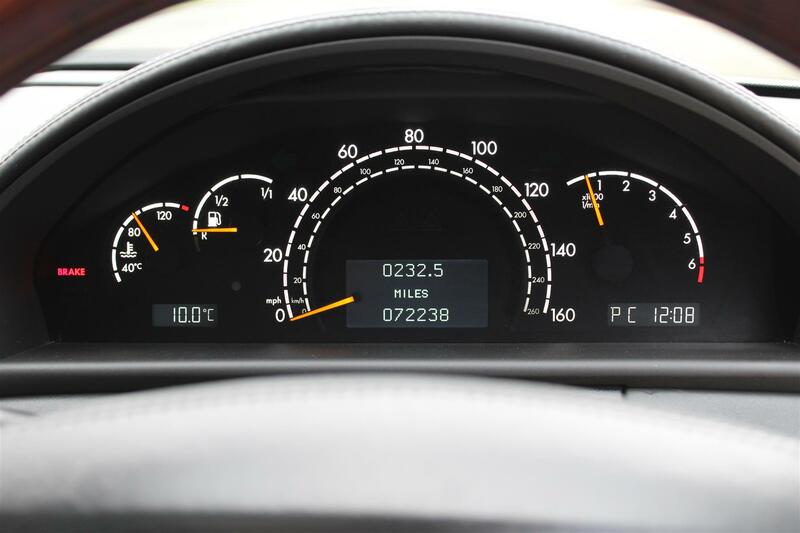 The latest Mercedes E-Class, the car that has applied Lane Keeping Assist technology, this technology serves to warn the driver not to move to another lane. No camera on the glass function to recognize signs on the road (straight white lines). If the system detects that the car change lanes unintentionally, the steering wheel will vibrate three times. The technology developed to help the driver to avoid a collision with a car that was in front of. Radar sensor can detect slow-moving vehicle in front and send a signal “visual heads-up” and warning that warns the driver of the risk of collision. If the driver does not react quickly or reflex, this system can even automatically activate the brakes. This system began ditrapkan some high-end cars, like the Mercedes E-class, but the manufacturer Ford also began to implement the ford Taurus 2010nya. This technology combines the use of a combination of navigation, night vision and laser to illuminate the road if the road could not be seen clearly (misty). Infrared cameras in the vehicle identifying where the end of the road, and the laser will “display images” on the windshield of the driver. This system can also identify animals or pedestrians that are not visible to the naked eye. This technology can even highlight the speed limit signs.